The text below is also part of the publications Asger Jorn: the Form and Beyond, edited by Luca Bochicchio and Paola Valenti, Genova University Press, Italy, November 2014, and Asger Jorn: The Secret of Art, Cobra Museum of Modern Art, Amstelveen, The Netherlands, 2014 (limited edition, designed by Richard Niessen). The public sessions in the framework of hildegoesasger.org at the Athens Biennial 2013 and at Casco, office for art design and theory in Utrecht early 2014, built the basis for this text. After having worked exclusively with contemporary art for about ten years, I started a job as a curator at the Cobra Museum of Modern Art in the winter of 2011. This called for refreshing my knowledge of Cobra, the loose constellation of young left-oriented artists and poets that officially existed from 1948-1951. The energetic Danish experimental artist and thinker Asger Jorn (1914-1973), well-known as a painter and a co-founder of Cobra and one of its driving forces, attracted my special interest. He was always on the move looking for international exchange and discussions, creating collaborative work, magazines, and exhibitions. What I have learned since 2010 is that Jorn, with great thrive and ambition, also wrote numerous books and articles envisioning, from an artistic point of view, ‘the first complete revision of the existing philosophical system’. Over the past years (and currently) the value of art and the position of the artist in society has been a much discussed topic in several European countries. Politicians announced budget cuts and other vigorous measures for the cultural sector in the light of the (ongoing) credit crisis. I wondered if the questions that Jorn posed and the position he took could still be relevant for the analysis of our current situation. Could Jorn’s theory, and more important his (art) practice, give us “certain independence”, as mentioned by Birtwistle, with our society transforming at a rapid pace from ‘market economy’ to ‘market society’? Gielen also states that in fact, the past ten years the jargon of liberalism has been embraced with surprising and quite uncritical easiness, using politically charged language (including terms such as culture consumer, entrepreneurship, marketing) as if it were neutral, as if it were devoid of an ideological signature. He points out that anyone who nowadays opposes the rhetoric of repressive liberalism is labelled a naive romanticist. Isn’t this perhaps one of the major problems with what Jorn has to offer us as well? That it is hopelessly romantic? What could be distilled or taken from Jorn’s way of thinking to practise a genuinely critical art towards culture in our times? The give-and-take between artist and society was of great concern to Jorn, as this citation also shows. In “Value and Economy …” he reflects on the topic at length and states that artists (and other cultural producers) are in fact exploited by the power elite and that “Art and culture retain only a minimal part of the sums that they earn” as artists and other makers are not paid for their hours of productive work. He builds up his arguments in great detail but it might be most effective to present his example: “If the Americans just paid according to the tariff for the time they occupy themselves with European culture, then the whole of Europe could live off it.” It would be obvious to conclude that Jorn simply argued that from now on artists and other makers should be paid for their hours of productive work (especially as he also stated that the aim of his text “Value and Economy …” is to demonstrate the economic basis that ‘the creative elite’ is entitled to), but he loved undermining and contradicting, and his arguments often had an unexpected twist. In this case he ends the very same paragraph by saying that if what he suggests would be realized, it would have the (I take it as undesirable) effect of “stagnation of our artistic culture”. Holistic as this may sound, the artistic strategies that Jorn applied make him the exemplary model for the recalcitrant modernist artist to whose strategies contemporary artists – “problem solvers of social problems on a micro level (…)” – should return, according to Pascal Gielen. No safety, order and comfort, no self-management disguised as cultural entrepreneurship for the sake of calculability and controllability, but the creation of problems and “creative destruction” is what Gielen calls for. 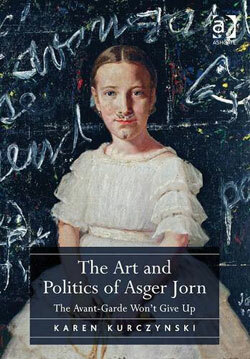 It is true: “Asger Jorn loved difficulties. If there were none, he created them, for himself and others”, writes Wieland Schmied. Risk was also an extremely important element in Jorn’s thinking and strategies, and certainly not a factor that he wanted to reduce to acceptable proportions, in the ‘entrepreneurial’ sense. “(…) I have never been interested in going anywhere unless I was able to go all the way to the extreme”, Jorn said. 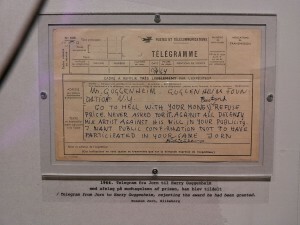 Gielen’s call for creative destruction bears strong similarities to Jorn’s fascination for vandalism as a potential creative act, and his (and those involved in the Situationist International) well-known strategy of ‘détournement’ – basically the adaptation of or variation on previous ideas or works, in which the newly created has a meaning that differs from the original one. These and other artistic strategies worked very well for Jorn and the other people he was associated with, but as stated in the preface of Collectivism after modernism, recently reborn collectivism has little or none of the leftovers from its own rich past. Rather than looking into specific artistic strategies that worked well for artists in the Cold War era (and which might or might not work well here and now), I suggest that we take two elemental questions to heart. The first question is whether we can find the inner conviction that art is an elemental need (and if we have the willpower, or are prepared, to put this idea into practice). The second one has to do with the idea “that artisthood is not an individual fate (…) but can rest on a collective foundation of solidarity structures”, as Gielen phrases it so rightly. Perhaps this is a good moment to remember the lifelong stipend that Jorn passed on to the Belgian poet Christian Dotremont, and to bring up Jorn’s donation of over 1,500 art works by various artists to the city of Silkeborg (today at Museum Jorn). Or the donation of his premises in Albisola, Italy, to the community, on the condition that his artist-friend Alberto Gambetta could continue living there until his death and that it would become a public venue after that. These examples not only testify to what looks like solidarity (or generosity) in various of Jorn’s actions. They also point to Jorn’s “second prerequisite to an effective utilisation of the artistic possibilities”: the artistic prerequisite, to which collaboration between artists is a pre-given. What is important to add is that to Asger Jorn, the idea of an ‘organic collaboration’ (or any other idea for that matter) takes the subjective, irrational side of human nature into account. To answer one of my initial questions: I can only agree with Jorn that this ‘romantic’ approach is in fact truly realistic. Perhaps the second question to take from Jorn and his co-conspirators is whether we are up to reimagining collective subjectivity in a time of repressive liberalism. Graham Birtwistle, Living Art – Asger Jorn’s comprehensive theory of art between Helhesten and Cobra (1946-1949), Reflex, Utrecht 1986, p. 55. Pascal Gielen, “Repressief liberalisme – Over kunst, markt en cultuurbeleid in Nederland”/“Repressive Liberalism: The Dutch Cultural Policy System” (summary in English), Kunstlicht (no 1/2, 2013). Translations are my own and I refer to the Dutch text. 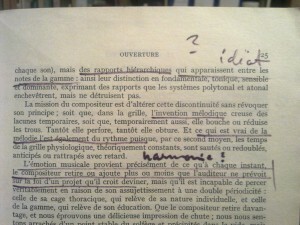 Asger Jorn, “Value and Economy – Critique of political economy and The exploitation of the unique”, published in French in 1959 by the Situationist International. In 1962 Jorn published “Value and Economy …” as Report no. 2 of the Scandinavian Institute of Comparative Vandalism. I refer to Peter Shield’s English translation in The Natural Order and other texts, Ashgate, London 2002, p. 203. Asger Jorn, ‘Architecture is not art’, 1943 translated by Paul Larkin in: Ed. Ruth Baumeister, Fraternité Avant Tout – Asger Jorn’s writings on art and architecture, 1938-1958, 010 Publishers, Rotterdam 2011, p. 53. Dito. Jorn’s words were not empty rhetoric, he and his family lived in very poor conditions for a long time. He was seriously undernourished by 1951, indicated as one of the reasons for him to get tuberculosis, and when he moved to Albisola, Italy with his family they lived in a tent along the riverside for a while. The painter Asger Jørgensen, ‘Notes on the Way’, 1945, in Baumeister, p. 82. “Value and Economy …”, p. 190. He literally meant that if I would amuse myself for one hour with a piece of art, a boxing match, chess game and so on, I would owe the maker/entertainer one hour of productive work. Asger Jorn, “Face to Face”, 1944, in Baumeister, p. 66 and 67. “Value and Economy …”, p. 184. Wieland Schmied, ‘The Graphic Artist Asger Jorn’, in Asger Jorn: The Secret of Art, Cobra Museum for Modern Art, Amstelveen 2014, p. 37. Asger Jorn, ‘Against Functionalism’, 1957 in Baumeister, p. 278. Ed. Blake Stimson & Gregory Sholette, Collectivism after modernism: the art of social imagination after 1945, University of Minnesota, Minneapolis/London 2007, p. xii. In line with this and Jorn’s concept of “a living art” Gielen mentions the need for artists who are capable of translating their strategies into “actual life forms” (werkelijke levensvormen). Asger Jorn, ‘Notes on the Way’ in Baumeister, p. 82. Asger Jorn, ‘Formsprakets Livsinnehåll’ (The lifecontent of the language of form), Byggmåstaren, Stockholm, XXVI, 17, 1947, in Birtwistle, p. 317. Asger Jorn, ‘What is an ornament?’, 1948 in Baumeister, p. 206. Stimson & Sholette, p. 38. “The artistic impuls is the central locus of our imagination and intuition. It is this which unites our realities with our potential; the existential with that which does not exist; the thing that was but is no longer; that which is to come but has not yet arrived; the possible with the impossible. It is the thing which enables us, as it were, to lift ourselves above questions of time and place. This is something existentially fundamental in our nature, because it strengthens our will to live and create.” Asger Jorn, ‘On the Artistic Potential Inherent in Architecture’, 1943. 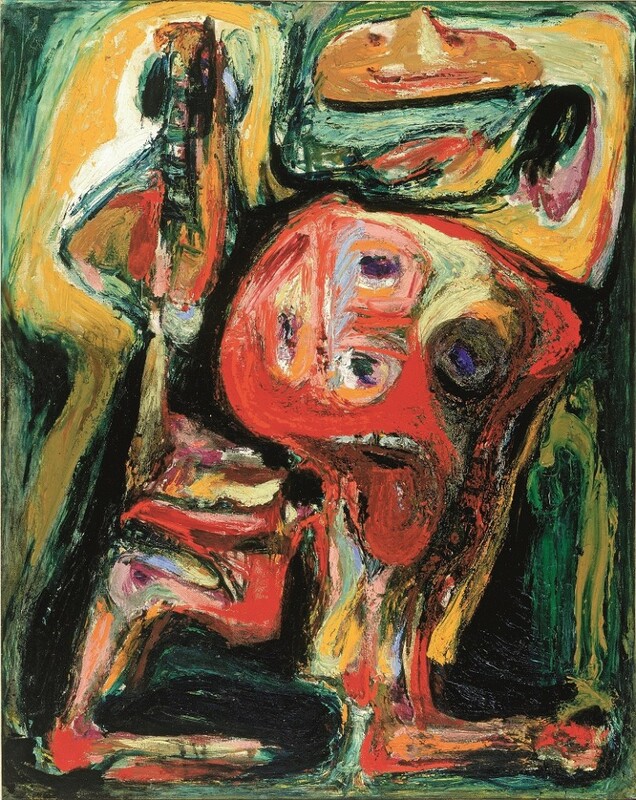 Asger Jorn (3 March 1914–1 May 1973) was born Asger Oluf Jørgensen in Vejrum, in the northwest corner of Jutland, Denmark. He was a painter, sculptor, ceramic artist, and author/thinker, and is well-known for being a founding member of the avant-garde movement Cobra and the Situationist International. What I wasn’t aware of, is that throughout his career Jorn wrote over 700 articles and books in which, or through which, he attempted no less then to undertake ‘the first revision of the existing philosophical system’. 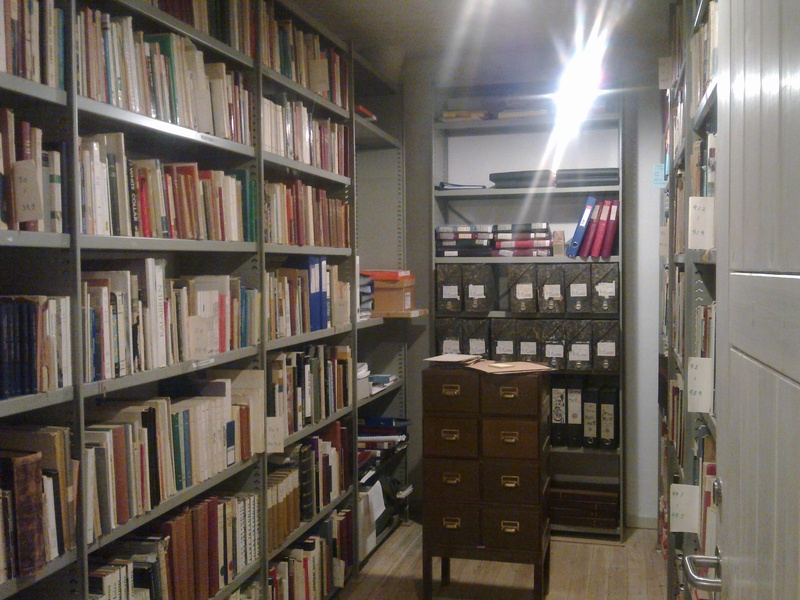 Jorn himself read a lot, and by the time of his death he possessed a considerable amount of books, of which around 1600 are archived in a modest-sized room in the Museum Jorn in Silkeborg. 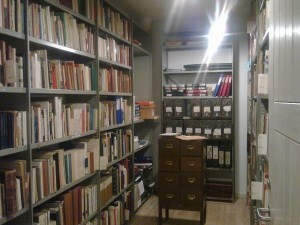 In March 2012 I had the opportunity to walk into that room, which felt a little bit like walking into Jorn’s head, and I spent a great couple of hours browsing through books on aesthetics/art theory, philosophy, mathematics, structuralism, religion, folks art, medieval art, archeology and more. It was in the Summer of 2011 that I became more aware of the extend of Jorn’s philosophical output. More or less simultaneously I came across a text on Jorn’s Nordic Institute of Comparative Vandalism, and a compilation of his texts on art and architecture, recently published by 010 Publishers, Rotterdam (Fraternité Avant-Tout, Ed. Ruth Baumeister). Here, Baumeister lists a few of Jorn’s interests and undertakings, ranging from “a reinterpretation of Marxism as a cultural-political theory, critiquing the concept of unitary urbanism, advocating an immediate life experience based on human life and passion instead of capitalist order, safety and comfort, and the dominance of the image in mass media…” . What struck me most reading those texts is the organic way Jorn dealt with everything, and how he eventually integrated his thinking in an all-encompassing theory on art and life, based on a very outspoken position in the philosophical debate about the position of the artist in society. His various attempts to co-operate across boundaries of culture and thought in order to expand our field of visual knowledge are fascinating, and believe it might very inspirational to revisit some of these projects. There have been a few issues in particular that I have been especially interested in from the outset. For instance, I am already thinking for a while about a project in which the notion of decoration and the ornament (so heavily influenced by classic modernist, functionalist ideas) would be revisited. Could Jorn’s description of “the tragic history of the ornament in art” and “the economy of ornamentation” (where he proposes a link between economic and artistic crises) be informative in that? What could we say about the status of the ornament in a time where populist politics is on the rise, and we clearly did leave it “to the reactionary forces in our midst to respond to our irrational needs …” (Jorn)? 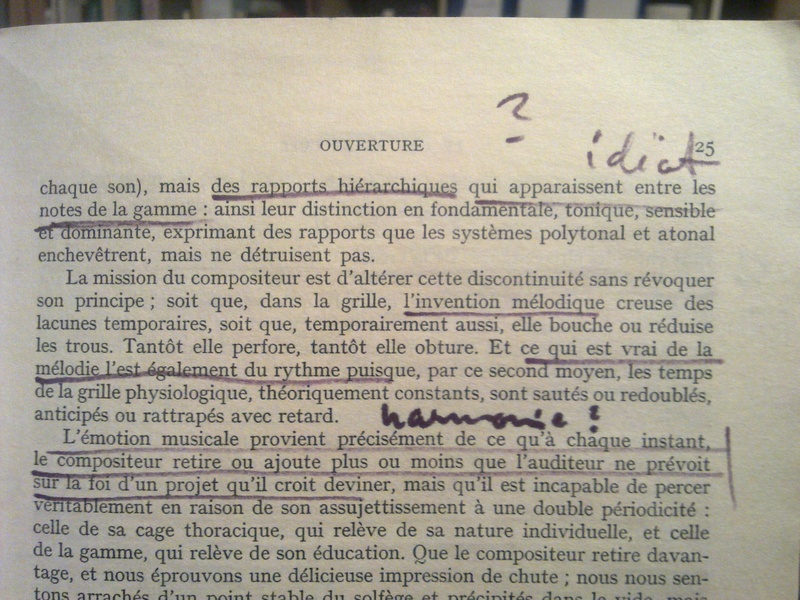 And how do his ideas on vandalism as a potential creative force, and the clear distinction he made between the subjective and the personal built a starting point for any kind of creative thinking and making in current artistic and discursive practices? How can we contextualize his ideas on history and history making to the current interest in revisiting modernist practices? This blog is a platform for exchange and dialogue between professionals from various disciplines, on these and other questions, and will hopefully lead to more in-depth analysis and creative responses throughout the coming period.